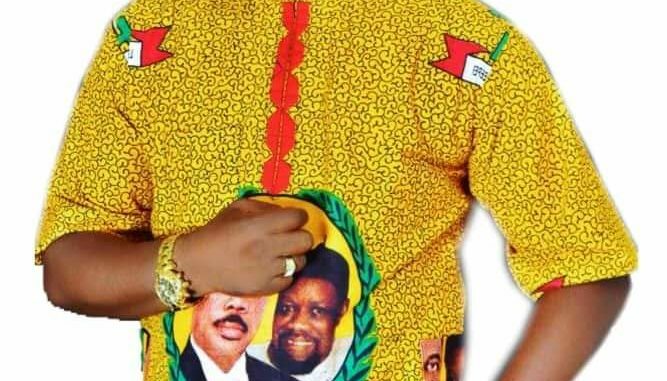 It was a shocking news to honourable members of Anambra state House of Assembly and Ndi-anambra, as the death of one of the serving member of the present 6th assembly, Hon. Sir Patrick Paddy Aniunoh (Nwazodoaku) was announced. Information has it that, Late Aniunoh died after a brief illness on the 26th of February 2019. 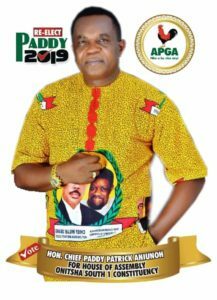 Until his death (Onye Okodu), as he was fondly called, was the member representing Onitsha South 1 Constituency in the Anambra State House of Assembly and the All Progressive Grand Alliance (APGA) candidate for Onitsha south 1 state Constituency election, slated to hold this Saturday 9th March 2019. Some staffs of the state assembly, who were close to him could not hold back their tears when the sad news was announced by the Clark of the House. In the course of their meeting, a minute silence was observed in honour of the late legislator. REALITY check shows that, Anamberians, comprising of lawmakers, APGA faithful and his constituents have continue to pay tribute to late Aniunoh through different social media platforms. Condolence visits and signing of register from Friends, relatives and sympertisers have been observed in his residence since his death was announced. Chief Olisa Aniunoh, brother to the late lawmaker has express gratitude to the government and people of Anambra state, for their solidarity at this trying period, stating that the family left behind by the diseased is consoled by the massive love and prayers recorded So far. 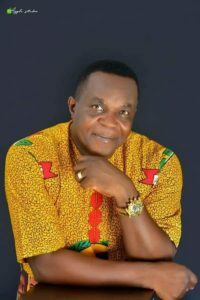 Nnanna Nzewi, Chris Ejimofor, Tony Nwazojie and Chidozie Onyedika in their separate speeches, have described the late lawmaker, as a man of the people adding that his demise is a painful death and a great loss not only to his family, but also, to his constituency, the 6th assembly, to APGA and to Anambra state as a whole. CAMPAIGNS: GEN. TEMLONG, THE GUBERNATORIAL CANDIDATE OF THE ADP, HITS SHENDAM STADIUM WITH …….